We are like the piggy bank that everybody is robbing,” lamented US President Donald Trump at the recent G7 meeting in Quebec, Canada. India was singled out for criticism for its high tariffs. 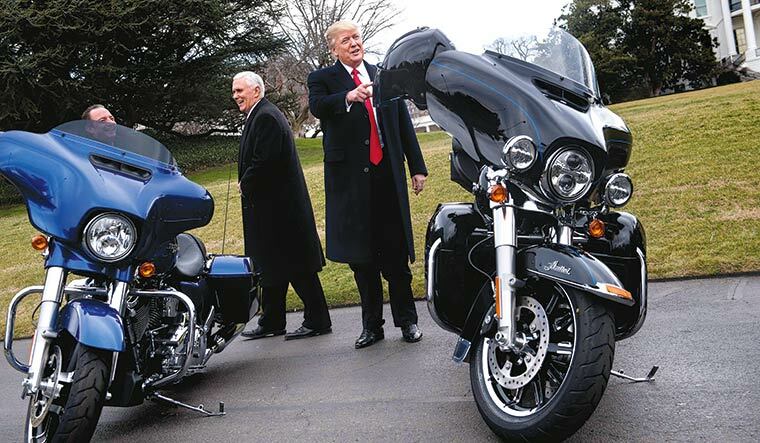 Earlier, too, Trump had similarly criticised India by referring to the high import duty it imposed on Harley-Davidson motorcycles. India responded positively by undertaking tariff cuts—from 75 per cent to 50 per cent—that benefited not only Harley-Davidson, but the British brand Triumph as well. It is easy to brush aside Trump’s fight against tariffs as a pure transactional approach—for which he, in any case, is being criticised. But, it is also important to do a reality check on tariffs. During the recent episode of global recession, India’s average tariff plunged into a single-digit figure, and the trend continued till recently. Average tariff in agriculture remained very high during the 2000s—hovering above 30 per cent—because of India’s continued support for maintaining livelihood security through agricultural production. Mining remained the least-protected sector, having the lowest average tariff among the broad sectors of the economy. Average tariff in the manufacturing sector was hovering around 7 per cent during the entire period of recession. In many disaggregated trade sectors, India’s average tariff remained lower than that of China during these years. It is also true that, to protect domestic interests, major economies of the world continued with peak tariffs in several sectors. At the level of national tariff lines, the US had tariffs exceeding 100 per cent for 67 products. Likewise, in India such high rates were applicable to 177 product lines in 2015. Coincidently, in the US, most of these peak tariffs (rates exceeding 100 per cent) were in the agricultural sector. Imports of certain varieties of groundnuts were tariffed at more than 130 per cent. Similarly, items in the tobacco products category are tariffed at 350 per cent. This indicates that the tariff regime in the US, with regard to peak tariffs, was not very different from those in many other countries. In fact, India is the victim of the global trade order. India’s agriculture is adversely affected by the agricultural subsidies in developed countries, while its manufacturing sector is hampered by Chinese dumping. Also, India is not given market access to the services sector in other countries. India is actually being robbed by several countries in major sectors. Other than in the case of agriculture, the entire Indian economy has been thrown open for liberal trade. In the manufacturing sector, only the automobile sector is relatively protected, because of sensitivities of the domestic economy. Trade dispute between the US and India has escalated exponentially after Trump came to power. The US president’s unilateral decision to hike steel and aluminium tariffs had an adverse effect on India, while several other countries like Canada, Mexico and Australia escaped the fallout because of special arrangements with the US. India, therefore, approached World Trade Organization for bilateral redressal, and Russia, China, the European Union and Thailand joined the process. There is little doubt that India has to move towards a low-tariff regime. Finance Minister Arun Jaitley has said as much a couple of times at various forums. The shift, however, has to be done keeping in mind industrial advancement and increasing competitiveness of the relative sectors. India should not get bullied by any of its partner countries. Efforts should be made to augment technological strength for enhancing competitiveness and reducing production costs. 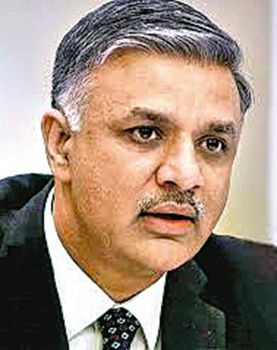 Professor Chaturvedi is director-general of Research and Information System for Developing Countries (RIS), a Delhi-based think tank.